Sport in Ireland plays an important role in Irish society. The many sports played and followed in Ireland include association football, Gaelic games (including Gaelic football, hurling and camogie), horse racing, show jumping, greyhound racing, basketball, fishing, handball, motorsport, boxing, tennis, hockey, golf, rowing, cricket, and rugby union. Football is the most popular team pursuit for males at 8.8% with Gaelic football attracting 3.4%. Personal exercise (at 13.4%) and running (8.9%) are the most popular individual male activities. Traditionally, team sports do not figure highly amongst females, with a greater percentage of post-school-age women choosing individual sports and fitness activities. As of 2018, additional funding and focus was afforded to females in sport, with a number of successes in women's international sporting competitions. Of the €62 million allocated in the Irish government's Capital Sports Programme funding for 2017, approximately €25 million went to hurling, football and other games overseen by the Gaelic Athletic Association, €7.7 million to soccer, €3.3 million to rugby, €2.8 million to tennis, golf €2.4 million, sailing and rowing €1.3 million each, boxing and athletics over €1 million each, swimming €0.5 million, with the remainder allocated among other sports and sporting groups. Gaelic Football in 2003 accounted for 34% of total sports attendances at events in the Republic of Ireland, followed by hurling at 23%, association football (soccer) at 16% and rugby at 8%, and Initiative's ViewerTrack study measuring 2005 sports audiences showed the sport's highest-profile match, the All-Ireland Football Final, to be the most watched event of the nation's sporting year. Football is the most played team sport in Ireland. Gaelic football, hurling, golf, aerobics, cycling, swimming and billiards/snooker are the other sporting activities with the highest levels of playing participation in the Republic of Ireland. As Northern Ireland is a constitute nation of the United Kingdom, it also sends a Northern Ireland Team to the Commonwealth Games. At the Olympic Games, a person from Northern Ireland can choose to represent either Ireland or Great Britain. The game is played at underage, minor (under 18), under 21 and adult levels. All players are amateur, although players at a high level may receive income from sources such as sponsorship and grants. Gaelic footballers play for a local club or parish team, with the best chosen for the inter-county sides. County players may be chosen to play in inter-provincial Railway Cup games or for the 'International Rules' team to face Australia. The main national competitions are the inter-county All-Ireland Senior Football Championship and National Football League, also known as the NFL. A Gaelic football year starts with pre-season competitions and the NFL. In early summer, the Championship begins. Each of the four provinces has its own tournament, and teams which are knocked out must do well in the 'qualifiers' if they are to gain a spot along with the four Provincial Champions in the All-Ireland quarter-finals. The All-Ireland Senior Football final is traditionally held on the third Sunday in September. Kerry are football's most successful team, with 37 All-Ireland senior titles. There are a number of rivalries within the game – an example is that between Dublin and Meath. Other notable derbies or rivalries include Cork v Kerry, Mayo v Galway and Kerry v Dublin. Hurling is a sport native to Ireland for several thousand years, organized by the Gaelic Athletic Association. In terms of attendance figures, hurling is second only to Gaelic football. Hurling is the fastest field sport in the world. The game has similarities to shinty and hockey. However the ball (or sliotar) is rarely played along the ground. Hurling is played on a large grass pitch. Many aspects of the organisation of hurling are similar to football, as both sports are organised by the GAA. Amateurism and the club/county/province structure are similar. Gaelic football has a larger footprint in terms of top-level competition, but in several counties where both sports are played, hurling sometimes holds precedence, and in certain parts of the country, it is the dominant game (Kilkenny, rural Antrim, Ards peninsula, and Clare, for example). Hurling is well-attended at elite level and the highest-level games fill Croke Park to its capacity of over 82,000. The main competitions are the All-Ireland Senior Hurling Championship, the Leinster and Munster provincial championships and the National Hurling League (NHL). Hurling and camogie are both included on UNESCO's Representative List of the Intangible Cultural Heritage of Humanity. Camogie is similar to Hurling. The key differences are that it is played exclusively by women. Other differences with Hurling include using a smaller Sliotar, the ability to hand-pass into the goal, and a dress code that requires players to wear a skort. The first game of Camogie occurred in 1904 in County Meath. Gaelic handball, or simply 'handball', like the related sport of American handball, somewhat resembles squash or racquetball, but with the ball played or struck with the hand or fist instead of a racquet. It has no connection with the Olympic sport of handball which has limited following in Ireland, where it is generally known as Olympic handball. In Ireland, there are four main types of handball. These are 40x20 (small court), the traditional 60x30 Softball and Hardball (big alley) and One-wall handball. Handball is played with a variety of balls. Gloves and eyeguards are compulsory for some competitions. The sport is managed and promoted by GAA Handball, a subsidiary body of the GAA. Rounders (Irish: cluiche corr) is regulated by the Gaelic Athletic Association (GAA) in Ireland, and is similar to baseball. Game-play centers around innings where teams alternate at turns being batters and fielders. Points ("rounders") are scored by the batting team by completing a circuit around the field through four bases without being put 'out'. The earliest nationally formalised rules of play were devised by the GAA in Ireland in 1884. Association football is a popular sport in the Republic of Ireland and Northern Ireland but while international matches play before large crowds, and are passionately followed, domestic league games typically attract smaller attendances. The national body in the Republic of Ireland is the Football Association of Ireland (FAI) while the national body in Northern Ireland is the Irish Football Association (IFA). The domestic leagues are the League of Ireland (in the Republic) and the NIFL Premiership (or Irish League) (Northern Ireland). Some of the major teams in Ireland include St Patrick's Athletic, Shamrock Rovers and Bohemians in the Republic, Glentoran and Linfield in Northern Ireland, and Derry City, a team from the North who play in the League of Ireland. Due to the financial incentives abroad, most of Ireland's top players, such as Damien Duff, John O'Shea, Aiden McGeady and Jonny Evans, play in the leagues of larger European countries, particularly in England and Scotland. This, along with the Irish media's huge coverage of the English league, is one of the reasons why Irish people tend to support leading British clubs such as Manchester United, Liverpool, Celtic and Rangers. Only occasionally does a League of Ireland or Irish League player make either of the national teams, despite the fact that the leagues sometimes produce some of Ireland's top players including internationals Kevin Doyle, Shane Long and Gareth McAuley and players like Roy Keane in the past. On the international stage, the Republic of Ireland and Northern Ireland teams have both competed in three FIFA World Cups, with the Republic also appearing in three European Championships, most recently in 2016. The Milk Cup is an international youth tournament held annually in Northern Ireland, in which clubs and national teams from elsewhere in the world may compete. Northern Ireland also played host to the 2005 UEFA Under-19 European Championships. 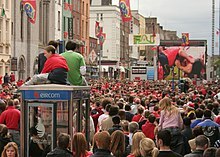 Rugby union is played and supported throughout Ireland, and is especially popular in urban areas such as Dublin, Limerick and Cork. Rugby union is played at club, province and national levels. The Ireland national team is composed of players from both Northern Ireland and the Republic, and the Irish Rugby Football Union governs the sport throughout the island. Success at international level and the establishment of four professional teams has increased interest in rugby union as a sport in Ireland. As of 2018, the Ireland national rugby union team was ranked 2nd in the World Rugby Rankings. Also in 2018, at the World Rugby Awards, Ireland were presented with a 'hat-trick' of awards, with Jonathan Sexton winning the Player of the Year, Joe Schmidt the Coach of the Year, and the national squad the Team of the Year awards. School rugby union is also played at primary and secondary level, and traditional rugby playing schools include: St Michael's College, Blackrock College, Belvedere College, Rockwell College, Castleknock College, Clongowes Wood College, St Mary's College, and Terenure College in Dublin, Crescent College, Castletroy College, St Munchin's College, and Ardscoil Rís in Limerick, Presentation Brothers College and Christian Brothers College in Cork, and Campbell College, Royal Belfast Academical Institution and Methodist College Belfast in the north. Boxing is overseen by the Boxing Union of Ireland and Irish Athletic Boxing Association. Amateur boxers account for sixteen of Ireland's 31 Olympic medals, including two Olympic gold medals. Ireland's amateur boxers have also won medals at numerous top level competitions worldwide including World Senior Championships, European Senior Championships, World Junior Championships, World Youth Championships, European Junior Championships and European Youth Championships. The country's most successful boxers include Bernard Dunne, Andy Lee, John Duddy, Kellie Harrington and Katie Taylor. The latter is among the world's most successful female boxers, and Taylor has won five European Championships and four World Championships, as well as the inaugural women's lightweight gold at the 2012 Olympics. Athletics in Ireland is governed by Athletics Ireland, and in Northern Ireland by Athletics Northern Ireland. Athletics has seen some of the Ireland's highest performers at the Olympics, with several Irish athletes performing well for both the Republic of Ireland and Great Britain & Northern Ireland at the games over the years. Denis Horgan won the shot putt 13 times at the AAAs, (still holding a title for greatest number of individual titles won), before emigrating to the United States where he won a number of American titles. Horgan also broke the world record on several occasions and silver at the 1908 Olympics. Dr. Pat O'Callaghan (also from North Cork) won the hammer throw in 1928 and again in 1932 at the Olympic Games. Bob Tisdall also won gold for Ireland in 1932, competing in the 400m hurdles. In the late 20th and early 21st century, notable athletes have included Ron Delany, Mary Peters, John Treacy, Eamonn Coghlan, Sonia O'Sullivan and Robert Heffernan. The Dublin Marathon and Belfast Marathon are run annually and are two of the most popular athletics events in the country. The Women's Mini Marathon in Dublin consistently gets upwards of 40000 competitors. The various equestrian sports have a sizeable following in Ireland. The governing body is Horse Sport Ireland (formerly the Equestrian Federation of Ireland), which is composed of 15 Irish affiliate bodies, representing all facets of equestrian sport. These sports include show jumping, eventing, dressage, endurance riding, para-equestrian, polo and carriage driving. Overall administration of Irish horse-racing is carried out by Horse Racing Ireland. Horse Racing Ireland is responsible for racing in both the Republic of Ireland, which has 24 racecourses, and in Northern Ireland, which has 2 racecourses. Ireland's top tracks are the Curragh and Fairyhouse. The breeding industry (including the world's largest thoroughbred breeding operation, Coolmore Stud) has produced many top race horses. There are over 400 golf clubs throughout the island, and over 300 courses in the Republic of Ireland. Ireland was the first country to organise the sport on a national basis. Golf is regularly televised in Ireland, with both domestic and international events broadcast. Among Ireland's most famous golf courses are Royal County Down Golf Club, Royal Portrush Golf Club, Portmarnock and Ballybunion. The most prestigious tournament of Ireland is the Irish Open, which is held on courses in the four provinces. Also, the K Club in County Kildare hosted the European Open from 1995 to 2007. Ireland produced several top golfers in the 1990s and 2000s, with players like Pádraig Harrington, Paul McGinley and Darren Clarke achieving significant success internationally. These three were part of the European team that successfully defended the 2006 Ryder Cup held at Kildare. Padraig Harrington and Paul McGinley won the World Cup of Golf in 1997. The 2007 Seve Trophy was held at County Laois and 2011 Solheim Cup at Killeen Castle, but no Irish golfers played. Harrington won the 2006 European Tour Order of Merit, The Open Championship (British Open) in 2007 and 2008, and the 2008 PGA Championship. Clarke went on to win the 2011 Open Championship. Two other golfers, both from North Ireland, have had international successes in the 21st century. Rory McIlroy has several major tournament wins, including the 2011 U.S. Open, setting 11 Open records. He was world number one in the Official World Golf Ranking for 95 weeks. Graeme McDowell won the 2010 U.S. Open, becoming the first player from either side of the Irish border to win the U.S. Open, as well as the first European to win that event since England's Tony Jacklin in 1970. McDowell also won a crucial match in the 2010 Ryder Cup at Celtic Manor in Wales. Paul McGinley captained the winning European team for the 2014 Ryder Cup. Cricket in Ireland is a minority sport. It has been played in Ireland since the early 19th century, and the game against Scotland (a match which has first-class status) has been played annually since 1909. The sport is organised on an all-island basis and is overseen by the Irish Cricket Union, founded in its present incarnation in 1923. Ireland has entered some domestic English tournaments since the early 1980s, but becoming an Associate Member of the International Cricket Council in 1993 paved the way for participation in international competition. Ireland co-hosted the 1999 Cricket World Cup. The Ireland cricket team was among the associate nations that qualified for the 2007 Cricket World Cup. It defeated Pakistan and finished second in its pool, earning a place in the Super 8 stage of the competition. The team also competed in the 2009 ICC World Twenty20, and also won the 2009 ICC World Cup Qualifier to secure their place in the 2011 Cricket World Cup. Kevin O'Brien scored the fastest century in World Cup history (113 runs off 63 balls), as Ireland produced one of the great upsets to defeat England by 3 wickets in the 2011 tournament. In 2017, domestic cricket in Ireland was recognized as first-class cricket for the first time, and also granted Test status in 2017. Field hockey (known in Ireland as just "hockey") is played throughout the country, particularly in secondary schools. The governing body in Ireland is the Irish Hockey Association. The Ireland women's national field hockey team reached the final of the Women's Hockey World Cup in 2018. As of 2018, the Ireland men's national field hockey team were ranked 10th in the FIH World Rankings. Australian rules football has gained a following in Ireland which has increased mainly due to the International rules series that takes place annually between Australia and Ireland. In October 2000, the Australian Rules Football League of Ireland was established, and a representative Irish team took part in the 2005 Australian Football International Cup. The Irish Green Machine became inaugural International champions in 2002. They have been finalists in every AFL International Cup since and were 2011 International Cup champions. Belfast and Dublin have been hosts to the AFL Euro Cup. The Irish Chess Union (ICU), formed in 1912, is the governing body for chess in Ireland and a member of FIDE since 1933 and the European Chess Union. The ICU promotes Chess in Ireland and maintains the chess rating for players in Ireland, which are published three times a year. It runs competitions such as the Irish Chess Championship and selects teams to participate in international competitions for Ireland. Croquet was first played in Ireland in the 1830s. The governing association of the sport is the Croquet Association of Ireland. Most international matches and large tournaments are played at the Carrickmines Lawn Tennis and Croquet Club, near Dublin. There are many regional cycling clubs throughout the country and competitions are organised regularly, the largest non-professional event being the Rás (Irish for race). The main governing body is Cycling Ireland which is responsible for cycling throughout the island. Ireland's most famous cyclists are Stephen Roche, who won both the Tour de France and Giro d'Italia in 1987; and Sean Kelly, who won the Vuelta a España in 1988, the sprinter's green jersey in the Tour de France four times, the Paris-Nice seven times in succession as well as four of the five 'Monuments'. Mountain biking is supported by a number of dedicated trail centers in Wicklow, Dublin, Galway and Tipperary. For competitive mountain bikers, there is a National Cross-Country series, a National Downhill series and a National Enduro series. BMX events are undertaken at the Ratoath BMX track in County Meath, and an indoor BMX track in Cherry Orchard in County Dublin. The Irish National Darts Organisation (INDO) is a governing body for Irish darts and is recognised by the World Darts Federation and British Darts Organisation. The largest Irish darts event of the year is the PDC world tour which stops in Dublin in April. Extreme sports undertaken in Ireland include skateboarding, rollerblading, surfing, BMX, mountain biking, mountain boarding, kitesurfing and wakeboarding. Several of these sports have national governing bodies, such as the Irish Surfing Association, and national competitions, such as mountainbiking's national series. Since 2005, skateparks (for skateboarding, rollerblading, and other sports) have been developed in several places, including in Greystones, Bushy park (Dublin) and Lucan (Dublin). Modular parks can be found in other parts of Ireland. Greyhound racing began in Ireland in 1927; there were greyhound races in Celtic Park in Belfast on 18 April of that year and the Shelbourne Park greyhound stadium opened in Dublin four weeks later. Hare coursing was already a well established sport in the country and greyhounds were bred for racing in Ireland from the very start. 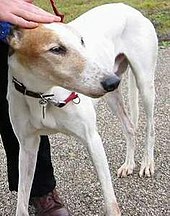 Mick the Miller, winner of the English Derby in 1929 and 1930, was an Irish greyhound and Ireland continues to export greyhounds. There are twenty licensed greyhound stadiums in Ireland. There are seventeen in the Republic where the licensing authority is Bord na gCon, the Irish Greyhound Board. This is a semi-state body and was established by the Irish government in 1958. The three stadiums in Northern Ireland are licensed by the Irish Coursing Club, which also organises hare coursing throughout the Island. Gymnastics is governed by Irish Gymnastics which was formed in 1999, following the merging of the Irish Amateur Gymnastics Association and the Irish Sports Acrobatics Federation. There are 83 registered gymnastics clubs in Ireland (including Northern Ireland). Gymnastics includes four Olympic disciplines, women's artistic gymnastics, men's artistic gymnastics, trampoline gymnastics, and rhythmic gymnastics, and four non Olympic disciplines, acrobatic gymnastics, tumbling gymnastics, gymnastics for all, and sports aerobics. While still a minority sport in Ireland, there are a number of Kendo clubs based in Dublin, Cork, Galway and Cavan. The Irish Kendo Federation is the governing body for the country. The Irish National Kendo Squad participates in the European Kendo Championships and the World Kendo Championships, as well as other international competitions. The main Kendo event in Ireland is the annual Irish National Championships (INC) which takes place in June each year. Kendo in Northern Ireland is governed by the British Kendo Association (BKA). The National Governing Body of Martial Arts in Ireland, as appointed by the Irish Sports Council, is the Irish Martial Arts Commission. The Irish Martial Arts Commission represents the martial arts of Aikido, Ju-Jitsu, Karate, Kendo, Kickboxing, Kung-Fu, TaeKwon-Do, Ninjutsu, Sambo and Tai Chi. The Executive Committee of the Irish Martial Arts Commission is made up of 2 representative elected within the membership of each Martial Art. Taekwondo and Karate are represented by various clubs throughout the country. The All-Ireland Taekwondo Association works to promote the sport and to organise competitions. Kickboxing Ireland (formally known as Allstyles Kickboxing Association of Ireland) was founded in 1985 to unify and structure the sport in Ireland. It was recognised by the Irish Sports Council as a national governing body of sport in 1993 under the auspices of the Irish Martial Arts Commission. Motorsport also has a presence in Ireland with Motorsport Ireland being the governing body throughout the country. Rallying is one popular form of motorsport, with various international rallies hosted across the country such as the Donegal International Rally, West Cork Rally, and others at national and club level, drawing thousands of people to various towns and cities to spectate over the rally weekend. Ireland also hosted a round of the World Rally Championship in 2007 and 2009, with stages being held in the Republic and also across the border in Northern Ireland, and was a stage candidate in 2016. Circuit racing is also present in the country with Ireland having only one international venue, Mondello Park in County Kildare which formerly hosted rounds of several international events and still hosts national events today. The country has produced many drivers who climbed the international ladder such as Derek Daly, Peter Dempsey, Tommy Byrne, Eddie Jordan and David Kennedy. Kart racing and stock car racing are also a popular forms of circuit racing in Ireland. Motorcycle racing in Ireland is governed by Motorcycling Ireland. Established in 1902, it is the oldest motorcycle sport federation in the world. Olympic Handball is a minority sport in Ireland, with the Irish Olympic Handball Association acting as the national governing body. In 2011, Ireland hosted the European Challenge Trophy in Olympic Handball (a competition for developing nations). Orienteering in Ireland is regulated by the Irish Orienteering Association. Every two years, the Shamrock o-Ringen, Ireland's largest Orienteering event, is held in Cork or Kerry. Irish orienteers compete at all levels, sometimes reaching the finals at the World Orienteering Championships. The sport of pitch and putt originated in Cork in the 1930s, and was developed throughout Ireland during the 1940s. 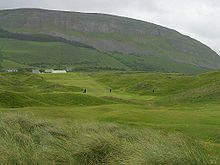 Since 1960 it has been overseen by the Pitch and Putt Union of Ireland, in turn a member of the European Pitch and Putt Association and Federation of International Pitch and Putt Associations. The Ireland men's national pitch and putt team won the 2008 Pitch and Putt World Cup. Tennis, badminton, racquetball and squash are common in Ireland. In Tennis, Tennis Ireland is the governing body and runs several competitions between the approximately 200 clubs throughout Ireland. Ireland competes in tennis internationally in the Davis Cup (men's) and the Fed Cup (ladies). Badminton in Ireland is run by the BUI. Irish Road Bowling is an ancient sport. It is centred in Ireland (particularly Cork and Armagh) but is also played in the United States and the United Kingdom. Similar sports are played in the Netherlands, Germany and Italy and since the 1960s there have been international championships held with athletes participating from these countries. Rowing is an Olympic Sport which is regulated by Rowing Ireland. During the winter there are Head of the River Races (processional timed races) and during the summer there are Regattas (side by side racing). The Irish Championships are held at the National Rowing Centre in Cork. Rugby league in Ireland is governed by Rugby League Ireland, which runs the Irish Elite League (known as the Carnegie League for sponsorship purposes), which is the top level rugby league competition in Ireland. There are approximately 20 teams across Ulster, Munster and Leinster. The Irish rugby league team compete in the European Cup and the Rugby League World Cup. It is made up predominantly of players based in Great Britain. Ireland reached the quarter-finals of the 2000 Rugby League World Cup and the 2008 Rugby League World Cup. Sailing in Ireland is governed and regulated by the Irish Sailing Association in Dún Laoghaire. Events are organised by the various clubs on the coasts and on the reservoirs and lakes. The first sailing club was the Cork Water Club (now the Royal Cork Yacht Club), which was founded in 1720. Snooker and pool hold some interest in Ireland, with media coverage of most major international tournaments. The Republic of Ireland and Northern Ireland have produced some of the world's most successful snooker players, including Ken Doherty, Alex Higgins and Dennis Taylor. Target shooting in Ireland comprises a number of disciplines. These include the Olympic rifle and pistol shooting disciplines (administered by the NTSA), metallic silhouette shooting (administered by the NSAI), precision pistol, benchrest rifle, gallery rifle and sporting rifle disciplines (administered by the NASRPC), the Tetrathlon (administered by the Pony Club) and Olympic Penthathlon (administered by the Modern Pentathlon Association of Ireland), both Olympic and non-Olympic clay pigeon shooting (administered by the ICPSA) and various long-range rifle shooting disciplines (administered by the NRAI). Ireland has had representation at international target shooting competitions, including the Olympic Games. The Irish Olympic clay pigeon team won the World Championships team event in Olympic Trap in 2002 and Irish shooter Philip Murphy claimed the silver medal in the 2007 World Shotgun Championships; he has also placed in the top ten in two World Championships and two World Cups. His teammate Derek Burnett won bronze in the 2010 European championship, silver in the 2007 World Cup in Maribor, has been ranked 5th in the 2002 World Championships in Lathi and 9th in the 2004 Olympics in Athens, and has placed in the top ten in three World Championships, two World Cup Finals, 13 World Cups and two European championships, and he has been ranked in the top 20 trap shooters in the world. Another teammate, David Malone, won gold in the 2004 World Cup in Cairo, and has ranked in the top ten in two World Championships, one World Cup Final, five World Cups and a European Championships. The team has also won several World Cup medals in both team and individual events. The clay pigeon high performance director has also been appointed head of the ISSF coaches' committee and the head clay target instructor with the ISSF Training Academy. Ian O'Sullivan also became the World Junior Champion in Olympic Trap in the 2014 World Championships. Ireland became world champions in Centrefire Gallery Rifle in the inaugural World Championships in 2013, in which the Irish team beat Great Britain and Germany. Gallery Rifle events are administered in Ireland by the NASRPC. The triathlon, as well as the duathlon, pentathlon, and decathlon, are gaining interest in Ireland. The Irish Triathlon calendar of events runs to 200 events annually. The national body for the triathlon is Triathlon Ireland which organises competitions between various clubs throughout the country. Participants are often members of clubs that specialise in swimming and cycling as well as Triathlon clubs. The Modern Pentathlon Association of Ireland was set up in 2004. Pentathlon and Decathlon are track and field events and organised by an athletic association, whereas Triathlon and Duathlon are organized by multi sport associations such as National Governing bodies for Triathlon and the ITU, International Triathlon Union. Adventure racing also takes place in Ireland. The majority of adventure races in Ireland fall into what's often called multisport, with run, cycle and kayak stages in events like WAR (Wicklow Adventure Race) and Gaelforce West, which are won in under 4 hours. There are also a few longer international-style adventure races lasting 24 hours and 36 hours, events like Beast of Ballyhoura and Cooley Raid. Tug of war has been in Ireland for a long time and the creation of the Irish Tug of War Association in 1967 boosted the competition among clubs in Ireland and also enabled Ireland to compete in international events, such as the Tug of War International Federation (TWIF) World Championships. Ireland, being an island on the western edge of Europe and on the continental shelf, is well-suited for recreational diving activities such as scuba diving and snorkelling. The dive season in Ireland generally starts around March and ends around October. Recreational diving started in Ireland in the early 1950s with the founding of the Belfast Branch of the British Sub Aqua Club. In the early 1960s, diving clubs in the Republic of Ireland formed the Comhairle Fo-Thuinn (CFT) (English: Irish Underwater Council). This voluntary body regulates all aspects of diving for its members, is the national governing body recognised by the Irish Government and represents the Republic of Ireland at the Confédération Mondiale des Activités Subaquatiques (World Underwater Federation). The Northern Ireland Federation of Sub-Aqua Clubs which was formed in 1975 is the corresponding national governing body in Northern Ireland. As of October 2013, underwater hockey is the only underwater sport being practised. This activity is limited to the Republic of Ireland where regional competition takes place in both Dublin and Cork. Irish national teams have played internationally with attendance at European championships. Water sports practiced in Ireland include canoeing, swimming, surfing, diving, water polo, sailing, and kayaking. Whilst many people participate in these, few do so competitively. Ireland has had only one Olympic medalist in swimming, Michelle Smith, and her medals have since been tarnished by drug allegations. The National Aquatic Centre was opened in Ireland in 2003 and held the European SC Championships in December 2003 – the first time the country hosted such a competition. At the competition, Ireland won its first medal at the European SC Championships ever, a silver in the 200m breaststroke by Andrew Bree. The National Aquatic Centre also hosted the 2018 World Para Swimming European Championships. Swim Ireland is the national governing body of swimming in Ireland. The Ski Club of Ireland is the national snowsports centre for Ireland, and consists of four outdoor dry slopes in Kilternan, Dublin. A team representing Ireland has competed at the Winter Olympic Games since 1992. Baseball is an emerging sport in Ireland. The sport is played on an organized level in Dublin, Greystones, Belfast, Cork, Clare and Kerry. The Irish National Baseball Team won the bronze medal at the 2004 European Championships in Germany and followed up that performance with a silver medal in the 2006 European Championships in Belgium. On a club level, baseball is organized through Baseball Ireland, which operates an adult league established in 1997 with teams in Dublin, Greystones and Belfast. Irish baseball was the subject of an award-winning documentary The Emerald Diamond in 2006. Basketball is overseen by Basketball Ireland. This governing body organises the sport's main competitions such as the SuperLeague. The main basketball arena in Ireland is the ESB Basketball Arena in Dublin. The sport receives small amounts of media attention, with a few games broadcast on television annually. Basketball is mainly driven by school, college and club support. Pat Burke is the only Irish born to play in the NBA, he played for Orlando Magic and Phoenix Suns. Ice hockey has a measure of popularity in Northern Ireland, with one professional team, the Belfast Giants, playing in the Elite Ice Hockey League. The Irish Ice Hockey League comprises a number of amateur teams from both sides of the border. Softball in Ireland can be traced back as far as 1982, with the first organised competition, the Dublin Softball League, taking place in 1984. The Irish Softball Association is the governing body of softball in Ireland and is responsible for the running of tournaments, Leagues, development and international competition in both co-ed slowpitch and ladies fastpitch softball. The National Team (Co-Ed) has competed at European level since 1998, with the best results being Silver in 2002 and 2004. Volleyball has men's, women's, schools' and beach-volleyball participants. The sport is governed by the Volleyball Association of Ireland. The Northern Ireland Volleyball Association govern the sport in Northern Ireland. Men, Women and Junior National Teams regularly compete in international competition including the European Small Nations Championship. The NI Men's National Team competed in the first round of the World Championships. Club volleyball is played in several divisions both North and South. Men and Women's club teams can compete in the national league. For women, there are three divisions: Division 2, Division 1, and Premier. For men, there are only two divisions: Division 1 and Premier. Beach volleyball tournaments also run during the Summer months. The Volleyball Association of Ireland (VAI) also run school competitions throughout the school year: a first and second year competition, a cadette competition, a senior competition, and a general schools competition. Spikeball tournaments are also held around the country throughout the school year. The various GAA discipline finals are the largest sporting events regularly held in Ireland, in both terms of attendance and media coverage. The biggest national sporting event in Ireland is the final of the All-Ireland Senior Football Championship, held annually in Croke Park, usually in September. It usually attracts a sell out crowd of 82,500 to croke park. Many of the matches in the championship attract crowds of 50,000+, depending on who is playing. Aside from the GAA, the biggest multi-sport event held in Ireland regularly is the Community Games. The games are organised every year from a local level, where hundreds of thousands of young people compete in different disciplines such as athletics, swimming, and cycling, in the first half of the year. Winners progress to county level, and then to the Community Games finals. The finals are held over two weekends in the summer where over 3,000 children sleep over at a campus-style facility. On an international level, Ireland has had mixed fortunes. Ireland has been particularly successful in recent years in rugby union, horse racing, show jumping, snooker, amateur boxing, and golf. Twenty four Irish people have won Olympic medals as of 2012. At the 2004 Summer Olympics, Ireland had one of its smallest contingents in its history at the games, with only 106 individuals participating. This was due to the strict policy followed by the Olympic Council of Ireland of only allowing A time athletes and swimmers to attend the games. This prevented several sportspeople from competing. One of the biggest international events in Ireland is international soccer. The Republic's national team first qualified for a FIFA World Cup in 1990, reaching the quarter finals of Italia '90. In rugby union, as of 2018, Ireland's national team is ranked 2nd in the world. Ireland has produced major stars such as Keith Wood, Brian O'Driscoll and Jonathan Sexton. In golf, Ireland has produced several top golfers such as Pádraig Harrington. The traditional Gaelic games of Gaelic football and hurling are played by Irish expats, with increasingly local involvement in communities around the world, however no nation has enough players to compete with Ireland. To compensate for this the GAA has entered into a partnership with the Australian Football League (Australian rules football) and plays a hybrid annual series called International rules football – this series has been going in various forms since 1967. Also the GAA plays an international hurling hybrid match with Scotland's national shinty team (although Ireland do not select players from the best hurling teams in Tier One of the All-Ireland championship for this game). In 2003, Ireland hosted the Special Olympics World Summer Games, as well as the European SC Championships 2003. In 2006, Ireland hosted the Ryder Cup Matches. Ireland's largest stadium is the GAA's Croke Park in Dublin, which can hold 82,300 people. It is the third largest stadium in Europe. Until the late 20th century, it was only used for Gaelic games and concerts. Other GAA facilities capable of accommodating 40,000 or more people are Semple Stadium, Thurles, Gaelic Grounds, Limerick and Páirc Uí Chaoimh, Cork. International soccer and rugby in the Republic of Ireland are played at the 52,000 capacity Aviva Stadium. Built on the site of the former Lansdowne Road, this all-seated stadium was opened in May 2010. Thomond Park, a rugby ground in Limerick, has been rebuilt into a modern 26,000-capacity stadium, though not all-seated. Ireland has three Olympic-sized swimming pools – two of which are open to the public. The largest – located at Sports Campus Ireland – is the National Aquatic Centre. Ireland has several large horse and greyhound tracks such as Fairyhouse. Plans to develop a Northern Ireland stadium at the site of the former Maze prison in County Antrim to cater for Gaelic games, rugby and soccer were scrapped in 2009 after opposition from unionists and soccer fans. The Ireland national cricket team play One Day Internationals at Stormont in Belfast and at the Clontarf Cricket Club Ground in Dublin. Ireland also plays Intercontinental Cup matches at the Woodvale Road ground, and has played test cricket at Malahide Cricket Club Ground in Dublin. Newspapers: All major newspapers dedicate space to sports coverage, particularly to soccer, Gaelic games, rugby union and equestrian events. Television: Gaelic football, hurling and soccer receive most of the sports coverage on domestic channels. RTÉ Two and TG4 hold rights to broadcast Gaelic games in Ireland. Coverage of the League of Ireland is shared between RTÉ and other channels. TV3 and RTÉ Two both have rights to various European soccer competitions, such as the Champions League and the English Premier League. Satellite and cable subscribers have access to other foreign channels such as Sky Sports, Eurosport and Attheraces. Magazines: There are relatively few Irish based magazines apart from GAA ones such as the Hogan Stand. ^ Anne, McCarthy. "Minister O'Donovan Launches Irish Sports Monitor Report". www.sportireland.ie. Retrieved 17 June 2018. ^ "Creating a brighter future for female sports". irishexaminer.com. Irish Examiner. 16 October 2018. Retrieved 25 November 2018. ^ "Ireland's women take centre stage – and medals – across sporting world". irishexaminer.com. Irish Examiner. 17 September 2018. Retrieved 25 November 2018. ^ Sports Capital Programme 2017 Review (PDF). dttas.ie (Report). Department of Transport, Tourism And Sport. April 2018. pp. 26–27. Retrieved 23 November 2018. ^ O'Sullivan, Patrick T. (Spring 1998). "Ireland & the Olympic Games". History Ireland. Dublin. 6 (1). ^ "The Social Significance of Sport" (PDF). Archived from the original (PDF) on 28 October 2008. Retrieved 27 November 2006. ^ "Hurling - intangible heritage - Culture Sector - UNESCO". ich.unesco.org. UNESCO. Retrieved 29 November 2018. ^ Alan., Tomlinson, (2010). A dictionary of sports studies. Oxford: Oxford University Press. ISBN 9780199213818. OCLC 503004160. ^ "If Rosenborg can attract 20,000 fans, why can't League of Ireland teams?". independent.ie. Independent News & Media. Retrieved 30 June 2016. ^ Farrelly, Hugh (15 September 2009). "The most progressive team in Ireland". Scrum.com. Retrieved 17 November 2009. [R]ugby's explosion in popularity means there is talent coming through in greater numbers that at any time in living memory . . . These are heady days for Irish rugby. The Republic of Ireland are pushing hard for qualification for the World Cup but could barely draw 10,000 to Thomond Park for a recent international with South Africa. A few days later, Munster had almost twice that for an early season Celtic League match. ^ a b "World Rankings - Men's Rankings". World Rugby. Archived from the original on 23 November 2018. ^ "'Speechless' Sexton Seals World Rugby Awards Hat-Trick For Ireland". irishrugby.ie. IRFU. 26 November 2018. Retrieved 26 November 2018. ^ "Northern Ireland Athletics | Athletics Northern Ireland". Niathletics.org. Retrieved 23 November 2018. ^ "Huge numbers again for Mini Marathon". Evening Herald. 2 June 2009. Retrieved 2 June 2009. ^ "Equestrian Federation of Ireland". Retrieved 3 July 2014. ^ "Horse Racing Ireland". Archived from the original on 3 July 2014. Retrieved 3 July 2014. ^ "Irish Hockey Association – About Us". Hockey.ie. Archived from the original on 27 May 2009. Retrieved 17 October 2011. ^ "Ireland in dreamland as Graham Shaw's history-makers advance to first-ever World Cup final". The42.ie. 4 August 2018. ^ "FIH Rankings". FIH.ch. Archived from the original on 23 November 2018. ^ "Euro Cup 2011". AFL Europe. Retrieved 26 March 2013. ^ "Irish Chess Union". Icu.ie. Retrieved 17 October 2011. ^ "Croquet Association of Ireland". Retrieved 1 July 2014. ^ "Website of Irish National Darts Organisation". indodarts.com. INDO. Retrieved 25 March 2019. ^ "WDF Directory of Members Websites" (PDF). dartswdf.com. World Darts Federation. Retrieved 25 March 2019. ^ "British Darts Organisation - Memberships" (PDF). bdodarts.com. British Darts Organisation. Retrieved 25 March 2019. ^ "Learn to Kiteboard on Ireland's Wild Atlantic Way". wildatlanticway.com. Retrieved 23 November 2018. ^ "Mountain Biking In Ireland: The Ultimate Guide". outsider.ie. Retrieved 23 November 2018. ^ "Goreyskateclub Co. Wexford Ireland, skateparks in ireland – Wreckless". Goreyskateclub.com. Archived from the original on 26 October 2011. Retrieved 17 October 2011. ^ "Sport Starts Here". Gymnastics Ireland. Retrieved 23 November 2018. ^ "info@cavankendokai.com". Cavan Kendo Kai. Retrieved 23 November 2018. ^ "Welcome to Kendo na hÉireann". Irish Kendo Federation. Retrieved 23 November 2018. ^ "Irish Martial Arts Commission - Home". Imac.ie. 15 June 2011. Retrieved 23 November 2018. ^ "IMAC Structure". imac.ie. Retrieved 23 November 2018. ^ "Taekwon-Do - Irish Taekwon-Do Association". Taekwondo.ie. Retrieved 23 November 2018. ^ "Kickboxing Ireland". Archived from the original on 1 September 2018. Retrieved 5 September 2018. ^ Motorsport Ireland. "Rallying, Racing, Autocross, Autotest, 4x4 Trials, Hillclimbing and Sprints, Karting, Midget cars". Motorsport Ireland. Retrieved 23 November 2018. ^ "Challenge Trophy press launch". olympichandball.org. Retrieved 23 November 2018. ^ "Pitch and Putt's Roots are Deep-set in Cork's History". Evening Echo. 27 December 1969. Retrieved 29 August 2018 – via fountainstown.com. ^ "Pitch and Putt - Cork County Board". ppui.ie. Pitch and Putt Union Of Ireland. Retrieved 20 August 2018. ^ "Birthplace of Pitch and Putt Launches Website". fippa.org. Federation of International Pitch and Putt Associations. Retrieved 20 August 2018. ^ "History of the Union". ppui.ie. Pitch and Putt Union of Ireland. Retrieved 29 August 2018. ^ "EPPA - the European Pitch and Putt Association". fippa.org. Federation of International Pitch and Putt Associations. Retrieved 29 August 2018. ^ "FIPPA - the International Pitch and Putt Federation". fippa.org. Federation of International Pitch and Putt Associations. Retrieved 29 August 2018. ^ "World Cup 2008". fippa.org. Federation of International Pitch and Putt Associations. Retrieved 29 August 2018. ^ "Rugby League Ireland 2010 Launch". rleague.com. Archived from the original on 9 June 2015. Retrieved 17 October 2011. ^ Casey, Jamie (1 May 2011). "Irish eye Super League: RLI hope to build a club capable of competing with the elite". Sky Sports. Retrieved 9 September 2011. ^ "Ireland". Rugby League Planet. Retrieved 15 August 2011. ^ "Club History". royalcork.com. RCYC. Retrieved 25 November 2018. ^ "Olympic Council of Ireland – Shooting". Olympicsport.ie. Archived from the original on 3 September 2010. Retrieved 17 October 2011. ^ "ISSF – International Shooting Sport Federation". issf-sports.org. Retrieved 17 October 2011. ^ "Irish Clay Pigeon Shooting Association – ISSF Coaching Committee". Icpsa.ie. 15 December 2010. Retrieved 17 October 2011. ^ "O'Sullivan makes Ireland proud at Junior Men's Trap in Spain". 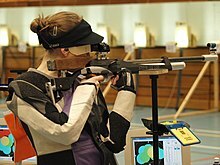 issf-sports.org. 10 September 2014. ^ "irishtriathlon.com". irishtriathlon.com. Retrieved 23 November 2018. ^ "mpai_home". mpaireland.com. Archived from the original on 18 February 2005. ^ "Adventure races in Ireland". irishtriathlon.com. ^ "Diving Officers Conference 2003". British Sub Aqua Club. Archived from the original on 13 January 2004. Retrieved 10 November 2012. ^ "Underwater Hockey". CFT. Retrieved 29 October 2013. ^ "EUROPEAN UNDERWATER HOCKEY CHAMPIONSHIP 2005 FINALS - MARSEILLE, FRANCE 30th May - 4th June 2005". underwaterhockey-archive.com. Archived from the original on 9 January 2016. Retrieved 29 October 2013. ^ a b "Volleyball Association of Ireland". Retrieved 3 July 2014. ^ "Johnny Sexton the strong favourite to land World Player of Year award". rte.ie. RTÉ Sport. 24 November 2018. Retrieved 25 November 2018. ^ "Croke Park Venue Information". crokepark.ie. Archived from the original on 19 November 2007. ^ "Plans for Maze stadium axed – RTÉ News". RTÉ.ie. 28 January 2009. Retrieved 17 October 2011. This page was last edited on 21 April 2019, at 08:47 (UTC).